Macon County abounds with walking, hiking, and biking trails. But not all offer cultural significance. 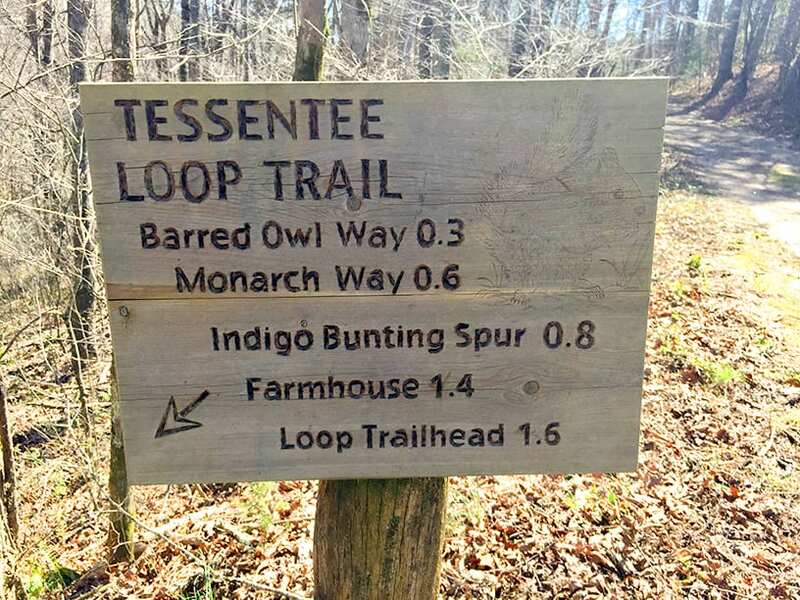 Yet, a walk through Tessentee Bottomland Preserve, less than eight miles from Franklin’s Main Street, offers up a diverse nature experience but with plenty of historical elements as well. Light hiking opportunities exist at Tessentee Bottomland Preserve, and there is much to see. Mainspring Conservation Trust, formed in 1997 as a land and waters restoration and conservation entity, acquired a 70-acre tract in 1999. This Little Tennessee Valley area – where Tessentee Creek joins the Little Tennessee River – is now preserved not only for its varied habitats but also because of the noteworthy history that occurred here. Cherokee once thrived in the area, and the river valley was a busy trading route. Plus, the first battle of what became known as the “Cherokee Wars” is thought to have occurred at the site in 1760. Then, in 1775, famed naturalist and explorer William Bartram spent the night in a trader’s hut documented to be at “the foot of the Tessentee,” which is near or at the site of the present-day Tessentee Bottomland Preserve. 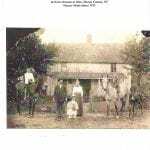 But the tangible history that still exists on the site is the remains of a white settlement dating back to the early 1800s. Whipple Carpenter Smart and his wife Mary Louise Silver farmed this land for many years. 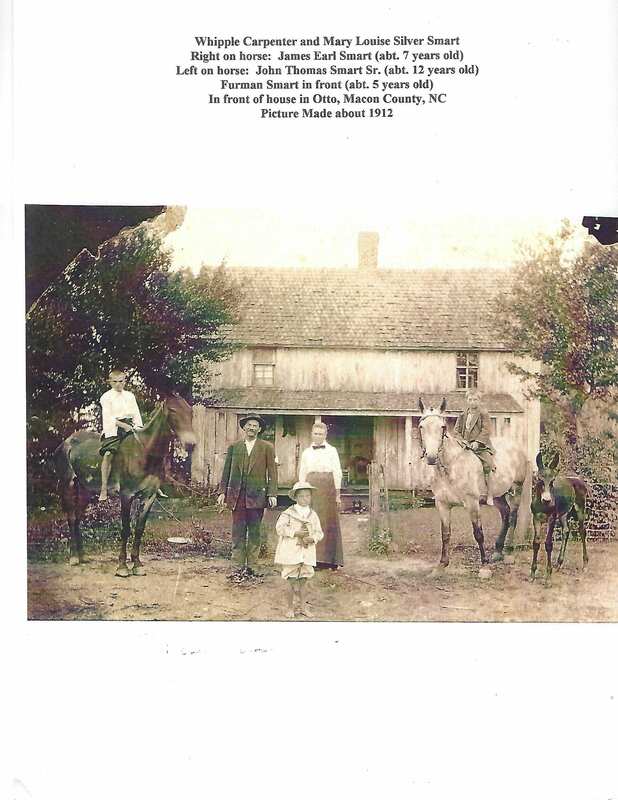 In the photo on the left, made in 1912, they are pictured with their three children: (from left) John Thomas Sr., Furman, and James Earl. 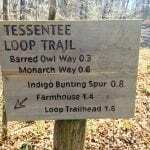 Visitors to Tessentee Bottomland Preserve can take a footpath to see the historic homestead. 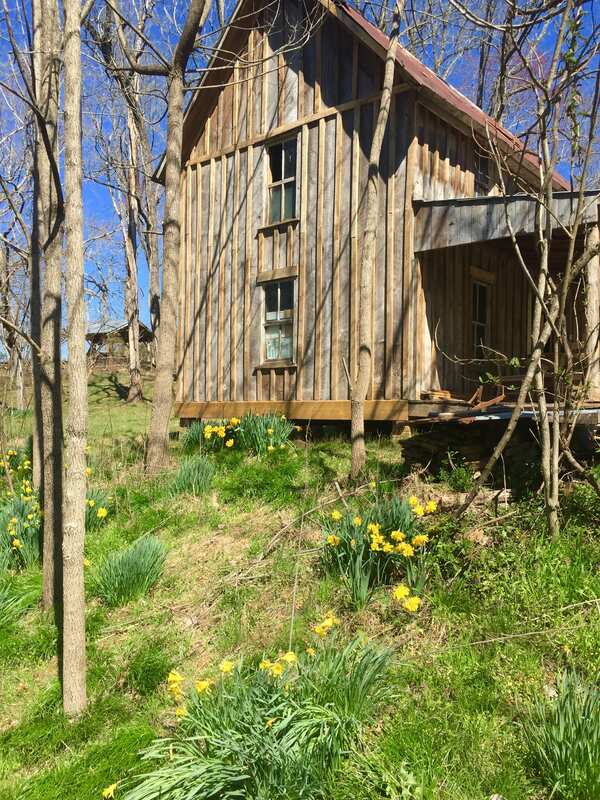 Surrounding the two-story wood farmhouse with rough-hewn porch posts is an outhouse, chicken coop, root cellar, and smokehouse. Farm equipment, including a seeder, exists on the property as well. Carringer, whose maiden name is Smart and whose father was John Thomas Smart Jr., said she knew the farm existed, but her great aunt Emma Smart was unable 20 years ago to remember where. Carringer became passionate about finding it. The area was originally known by settlers as Smithbridge Township, so named for the original owner, Samuel Smith, who acquired the property by state grant. The existing farmhouse dates from the 1890s and the farm was in operation as a dairy as late as the early 1990s, according to Mainspring’s research. 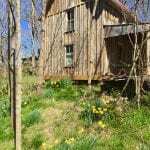 An old fashioned “can house” or root cellar sits on the property. The can house was where families would store their canned vegetables they had put up from their gardens. Note a portion of the can house is underground, keeping the contents cool and protected from the elements. Further, an old wagon road once passed between the house and the root cellar. “I think it’s very, very important to have nature preserves that also provide historical and cultural information,” said Carringer. Besides viewing the historic farm, visitors to Tessentee Bottomland Preserve have an opportunity to learn about various trees through educational ID tags; white oaks, black cherry, black walnut, sycamore, and black locust are some of the more common trees in either the wetter bottomlands or along the bluffs, but there are also some trees unusual to Macon County, such as blackjack oaks and shortleaf pines. A narrow foot trail from the parking area winds down through lily and daffodil beds that once surrounded a four-room cabin which was torn down in 2005. A spring feeds a meandering creek along the footpath. A stand of rivercane, which is one of North America’s three native bamboo species, is also there. Artisans from Qualla Arts & Crafts Mutual of the Eastern Band of the Cherokee harvest periodically the cane for crafting such items as baskets. Taylor said she is encouraged that activities such as Migration Celebration, which helps children to understand the cultural heritage and natural resources of the area, are held at the Preserve. Although the doors of the home are locked because of needed repairs inside, Mainspring’s goal is to accumulate enough funding to restore the interior so that it can be opened to the public. Tessentee Bottomland Preserve is open free to the public and located at 2249 Hickory Knoll Road. © Copyright 2019 · All Rights Reserved.